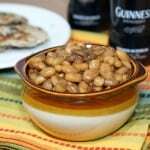 Barbunya Pilaki could be called the Turkish version of baked beans. 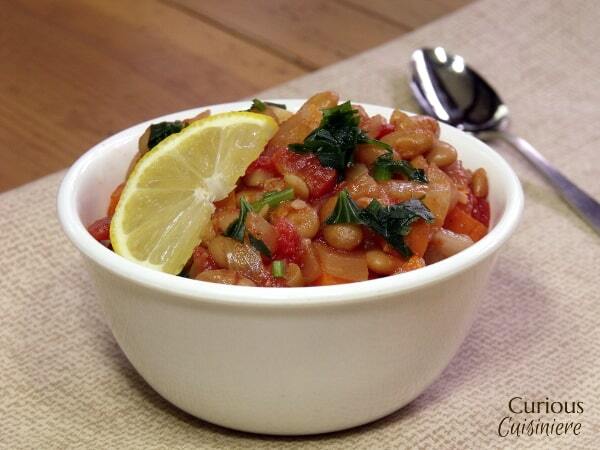 Here, cranberry beans are cooked with flavorful vegetables giving a light and refreshing alternative to traditional, heavily-sauced baked beans. 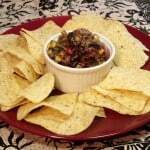 Serve this make ahead dish warm or cold at your spring picnic or summer barbecue. 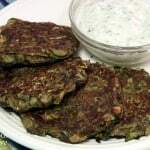 A Pilaki is a type of Turkish dish called a meze (or mezze). The Turkish word meze means “taste, flavor, or snack,” which gives a clear picture to the purpose of these small plates that are traditionally served with drinks before a main meal, similar to tapas in Spain. Pilaki is the category of meze cooked in olive oil and containing onion, garlic, carrots, tomato or tomato paste, and a bit of sugar. 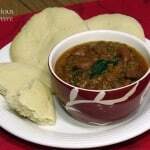 Barbunya Pilaki consists of borlotti beans (also known as Roman or cranberry beans) that are cooked in this style. 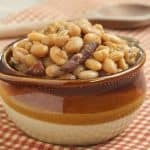 If you can’t find borlotti beans, kidney beans and pinto beans come from the same family and work well as a substitute in this recipe. While Tim preferred the beans served warm, the dish is traditionally served cold, garnished with parsley and lemon slices. Squeezing the fresh lemon juice over the beans before eating adds a layer of brightness to the already flavorful dish. 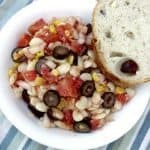 While we really enjoyed these beans the day we made them, they did get better with time, so we would recommend making them a day ahead of time and refrigerating them until you are ready to serve. How Do Turkish Baked Beans Compare To American Baked Beans? 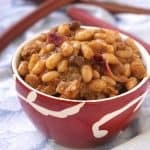 The slight sweetness from the sprinkling of sugar and carrots and the tomato flavor gave these beans a flavor similar to a classic baked beans, although much lighter since they are not as heavily sauced. 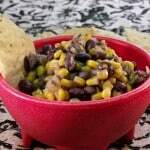 Here in the States, we don’t often think of beans when it comes to appetizers (unless they’re pureed into a dip or can be eaten with chips), but this dish would make a wonderful alternative to the classic baked beans or bean salads that are served at summer cookouts. What a fun way to bring a bit of unique culture to your gathering! 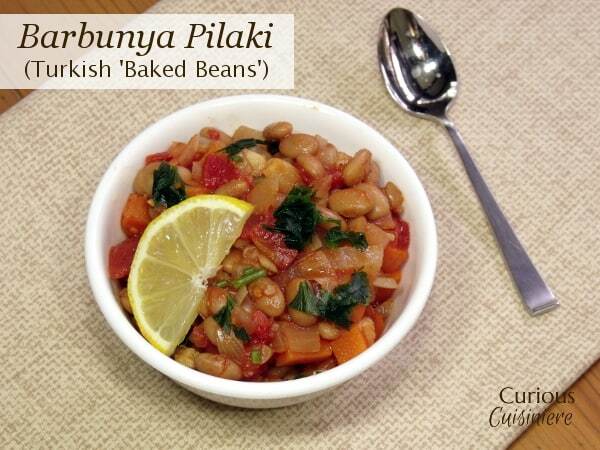 Barbunya Pilaki could be called the Turkish version of baked beans. Serve this make-ahead dish warm or cold at your spring picnic or summer barbecue. Add soaked and drained beans to a large saucepan and cover with one inch of water. Bring the beans to a boil and reduce the heat to medium low. Simmer the beans until just tender, 20-30 minutes. In a large skillet, heat olive oil. Add the onion and garlic. Sauté for 2-3 minutes over medium heat, until soft. Add the carrots and sauté 5 min. Add the tomatoes, tomato paste, sugar, salt, and pepper. Mix well. Add the cooked, drained beans and fresh water (use 1 ½ c of water if using fresh tomatoes or 1 c of water if using canned tomatoes with juices). Mix well and simmer, uncovered over medium-low heat, until most of the liquid has evaporated, 30 minutes, stirring occasionally. To serve, garnish beans with chopped fresh parsley and lemon slice.